While many sandwiches and pinwheel recipes feature deli meat and cheese, they’re not our only options. These vegan buffalo chickpea pinwheels are meatless, dairy free, and totally delicious! With fresh, fuel-filled ingredients and a zesty flavor kick, this healthy vegan lunch (or snack) is anything but boring. 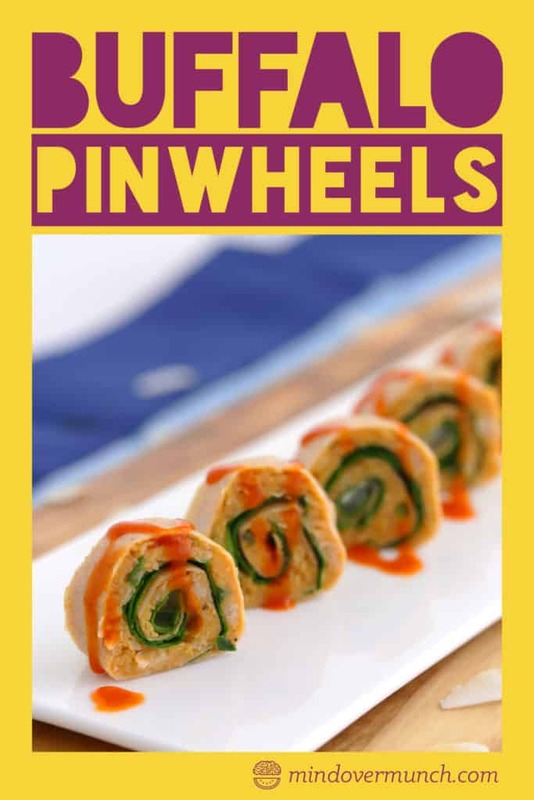 Pinwheels are a fun and easy way to add variety to healthy school lunches and keep meals interesting. 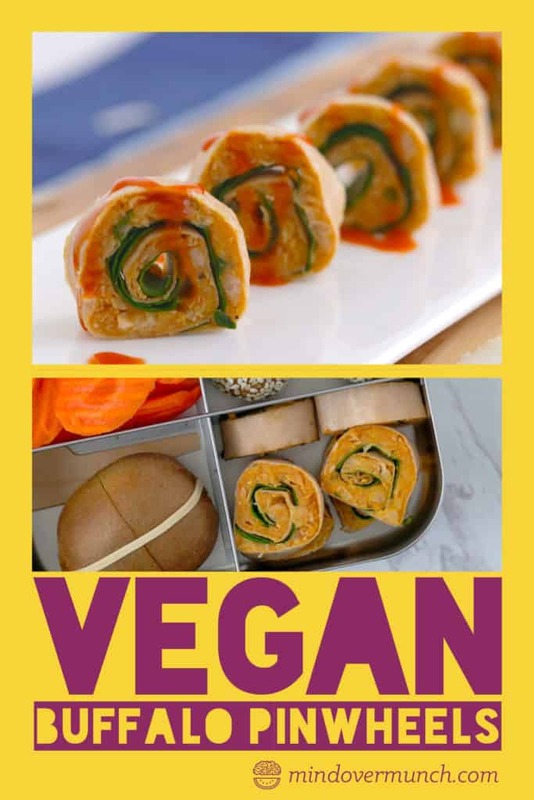 They’re just as simple to make as a sandwich or wrap—except your roll your wrap and slice it into bite-sized pinwheels! 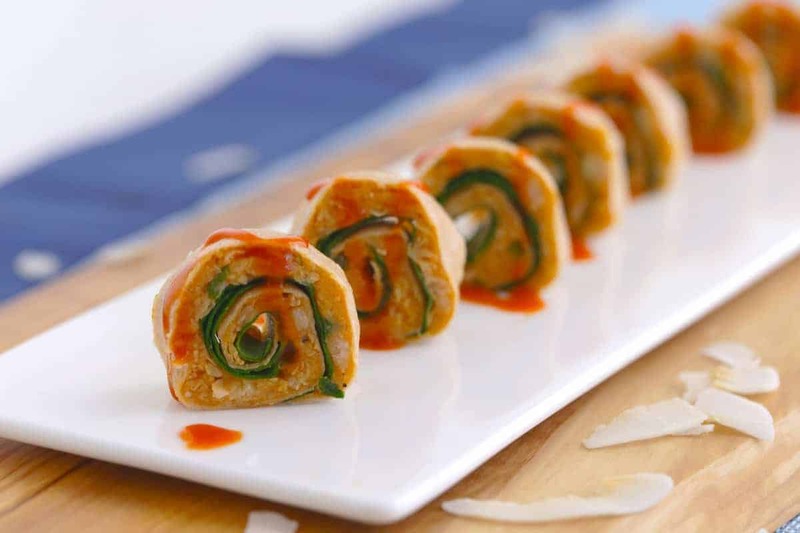 And, your pinwheel possibilities go beyond just wheat- and grain-based wraps. There are some healthier whole grain tortillas out there, and even some bean- and vegetable-based tortillas. But for these vegan buffalo chickpea pinwheels, I used a coconut wrap made from just coconut meat, coconut water, and coconut oil. 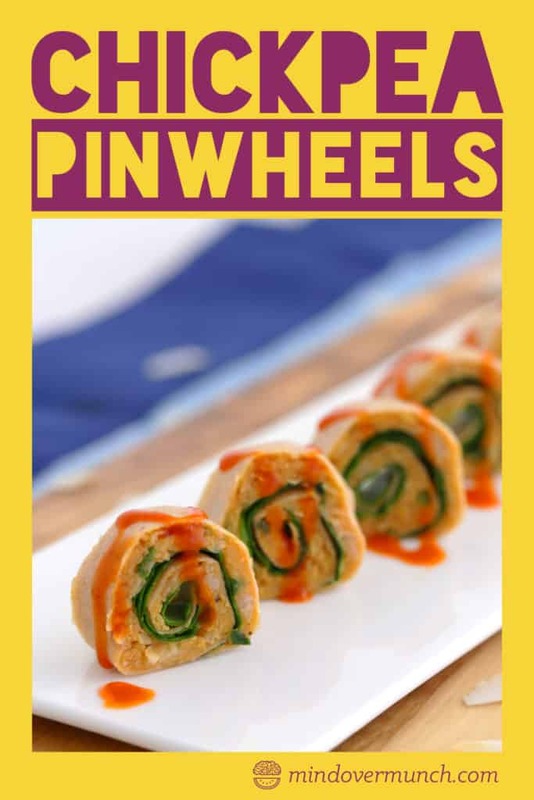 A much cleaner, more fuel-filled option—and it keeps my pinwheels gluten free! Sandwiches, Wraps, & Pinwheels—Oh My! Unfortunately, store-bought tortillas are convenient, but they can turn an otherwise healthy meal—like these vegan buffalo chickpea pinwheels—into a not-so-fuel-filled meal. Generally, most store-bought tortillas and sliced breads are ultra processed and not-so-nutritious. Often, not nutritious at all! Made with refined grains, sneaky added sugars, preservatives, artificial colors and flavors, many breads and tortillas are just like other processed snack foods and ‘junk’ foods. Lacking in fuel and loaded with additives! 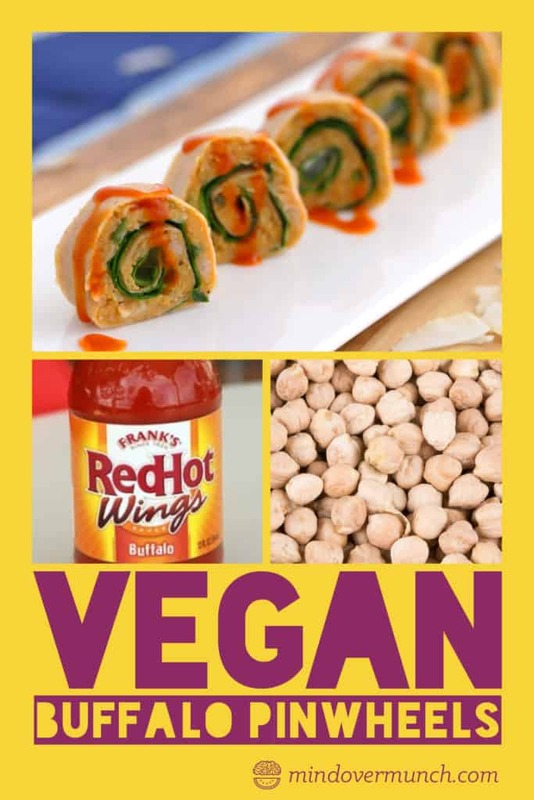 Try to find a more wholesome wrap to make your vegan buffalo chickpea pinwheels, with a short, clean ingredients list. For my vegan buffalo chickpea pinwheels, I found these vegan COCONUT wraps online, and I love them! 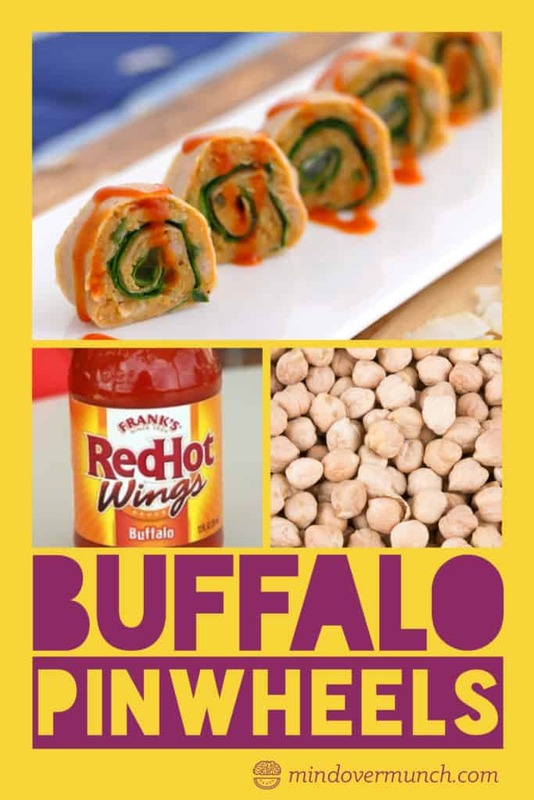 They’re amazingly sturdy, with a subtly sweet flavor that pairs surprisingly well with Buffalo sauce. 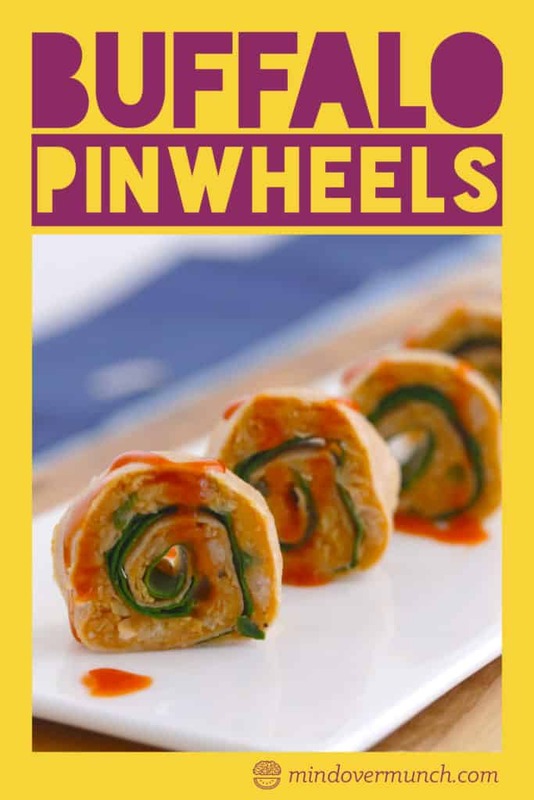 A great option for gluten free pinwheels and lower carb pinwheels! 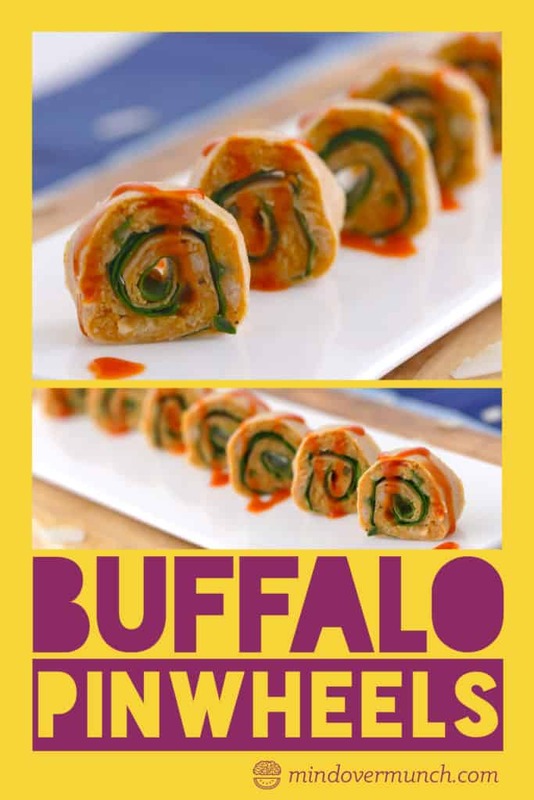 Most often, the pinwheels I’ve seen (and eaten) roll up some combination of meat-cheese-veggies-condiment. And lots of people get stuck in a similar kind of rut with sandwiches! 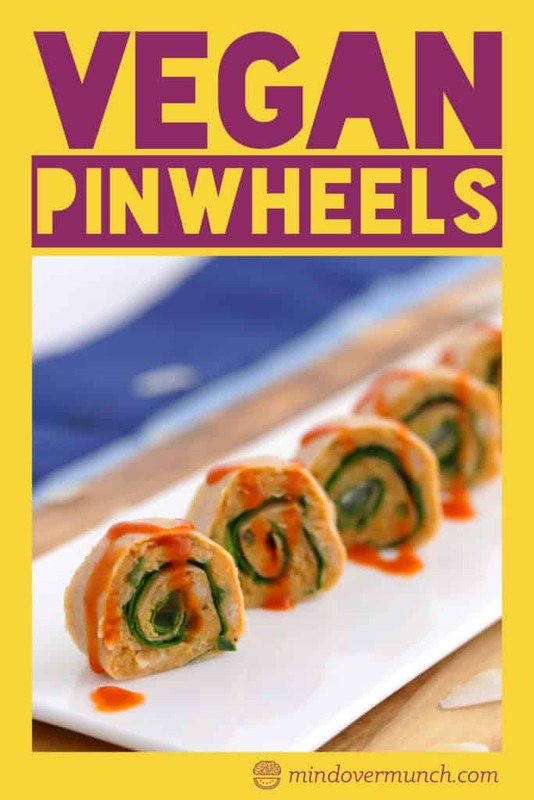 Whether you follow a plant-based lifestyle or not, there are loads of vegan pinwheel and sandwich options to explore! You could try all sorts of plant-based protein options, like tofu, tempeh, or even edamame. But, for this recipe, I had to stick with my personal favorite: chickpeas! I love their savory, mildly earthy taste, and they pair perfectly with the zesty heat in these vegan buffalo chickpea pinwheels. And, after giving the chickpeas a quick smash with a fork, you’ve got a deliciously creamy and satisfying spread to fill your pinwheels. I like to leave my chickpeas a bit chunky for a fun texture twist! Their hearty texture makes chickpeas a go-to meat substitute for me. Plus, chickpeas are also rich in complex carbs, fiber, and offer some protein to keep me full and fueled! Those slower digesting carbs provide energy that can last through the day, unlike simple and refined carbs, which send blood sugar skyrocketing and then our energy crashing. And, even though these vegan buffalo chickpea pinwheels are totally meatless and dairy-free, each serving contains 6 grams of protein! Enjoy as a quick and delicious snack, or pack as part of an on-the-go lunch! In a large mixing bowl, mash chickpeas. Add buffalo sauce, spices, and green onions. Mix to combine. Layer mash and spinach leaves in coconut wraps. Roll up wraps as tight as possible (without squishing it) and seal with a bit of hummus if needed! Slice rolled wrap into pinwheels (I recommend using a serrated knife). *Recipe yields 8 wraps, with 6 vegan buffalo chickpea pinwheels cut from each wrap.